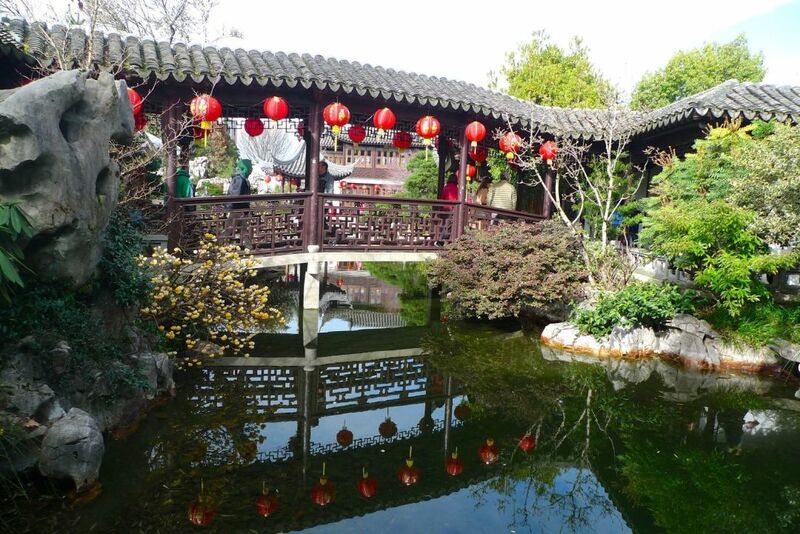 Ever wondered how Portland's extraordinary Chinese Garden grew in just a few years from a desolate parking lot into one of the finest classical Chinese gardens outside of China? The next PSU First Saturday Program features landscape architect Ben Ngan offering a free lecture describing Portland's beloved Lan Su Classical Chinese Garden as an example of urban development that worked. In addition to the being a compelling story of collaboration amongst many involved parties, as well as volunteers and donors, the story of the Garden illustrates just what goes into the process of transforming an abandoned piece of land into a place people flock to visit. Ngan, landscape architect and past board member of the Chinese Classical Garden and Chinese Garden Society will share insights and images of the development of the Garden from its original concept through construction and completion of the project. Ngan's presentation is part of an ongoing, monthly First Saturday East Asian Program Series sponsored by the First Saturday Program Comittee and the Portland State Institute for Asian Studies in collaboration with volunteers from the Portland Lan Su Chinese Garden. The series offers a diverse array of educational presentations focusing on the art, architecture, gardens and historical culture of China and East Asia, highlighting connections with the Pacific Northwest.